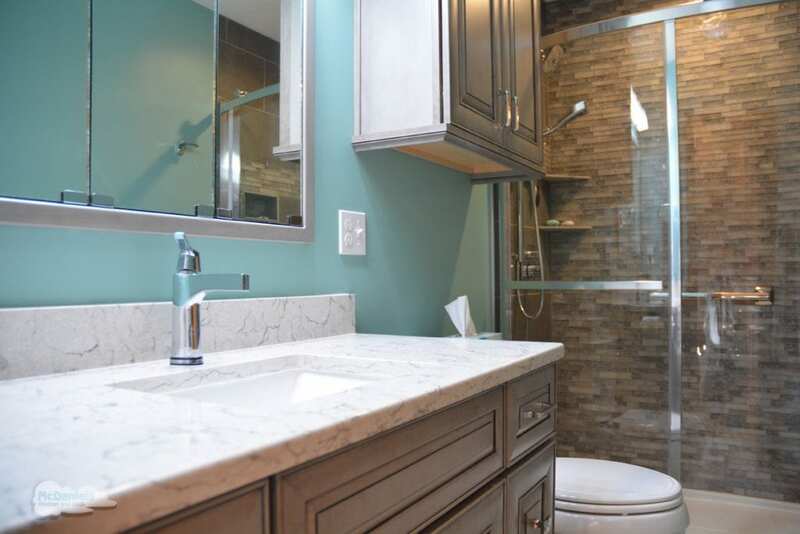 A bathroom design for aging in place or to accommodate mobility issues can be stylish and accessible while also being comfortable for everyone to use. For the person with limited mobility or who is planning to age in place, an accessible bath design will be an invaluable investment, as an unsuitable bathroom can be a hazardous place. Plan what you need and instead of making endless small changes and remodel the entire room to cater for your future. Installing a ground floor full bathroom design means there are no stairs to negotiate. Widen your door frame on either side if you plan to accommodate a wheelchair and ensure the door swings outwards or slides, for optimum space. Allowing as much room as possible inside makes it easier to maneuver a cane, walker or wheelchair after entering the room. A tight space presents obvious physical problems, but can also feel claustrophobic, so consider knocking a wall to open up the bathroom for plenty of clearance. Stepping into a bathtub becomes riskier as you get older. If you want to keep using a tub, then make sure it can accommodate a seat. Look to grab rails or steps to make it easier to climb in and out. Walk-in tubs with a watertight opening are an excellent option if you’d like a bath without having to step over the side. Curbless or fully open showers mean you can seamlessly move any mobility aid in and out, but at a minimum stick to a low threshold to make stepping into the shower safer. 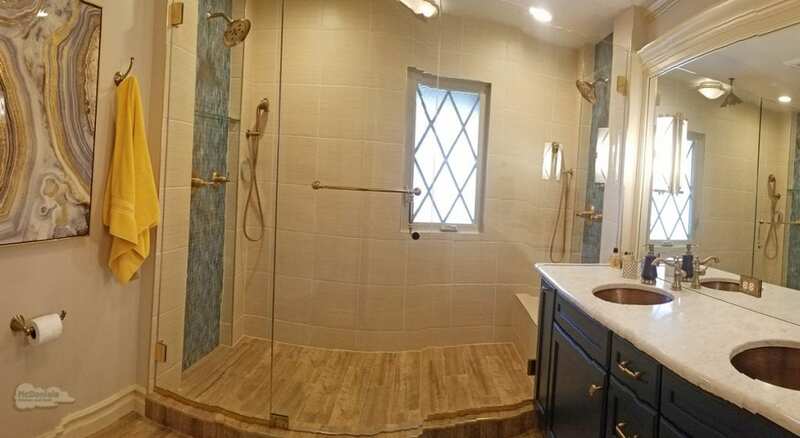 A large shower with a built-in seat like this bathroom design in East Lansing provides comfort and safety for everyone who uses it. Rolling shower seats and removable shower heads (with anti-scald valves and a long hose) make washing easier and safer. Make sure products and towels are within easy reach too. A wheelchair-accessible sink is a little lower than normal, with no cabinet underneath to allow full access to the countertop and sink. Single-handle or sensor faucets are ideal for anyone with mobility issues and can be particularly helpful if you have arthritis or any other issues with your hands. Make sure all furniture is sturdy enough to hold on to and everything from products and towels to mirrors and drawers should be placed low enough for everyone to access. Consider including drawers with customized storage inserts so everything you need is easy to see and access and remember that drawer pulls are easier to grasp than knobs. While your sink should be lower, your toilet should be higher, so sitting and standing is much easier. Wall hung toilets can be put at the exact height required and add-on seats are another option. Just remember to supply a removable step for any children in the house. Toilets equipped with specially inserted spray jets are also an option for extra hygiene. Finally, remember to keep all toilet accessories within easy reach. Grab bars and rails are a very important aspect of your accessible bathroom remodeling project. Big metal bars mounted into studs are the sturdiest option and you can choose a color and finish to blend in with your overall bathroom design. They should be beside the toilet, in the shower and tub and then wherever is needed as time goes on. 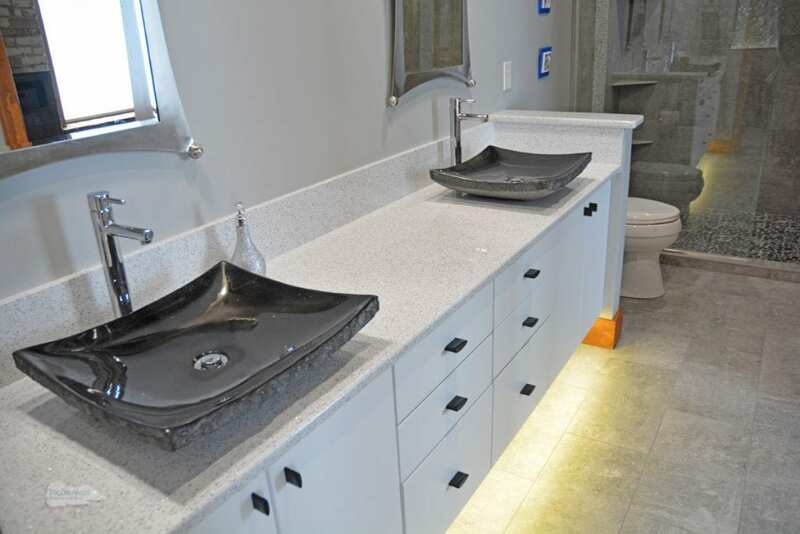 Strong lighting is vital to ensure safety in accessible bathroom design. Make sure that switches are low enough for wheelchair users and easy for every hand to operate. Sensor lights are a perfect addition to your remodel as they detect when anyone enters or leaves the room. Consider including toe kick or undercabinet lights that can be left on to make accessing the bathroom at night safer and easier. 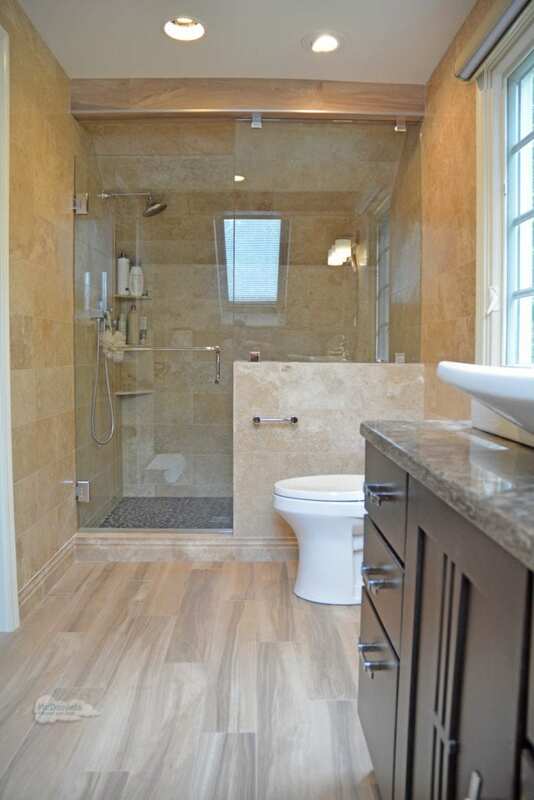 Your bathroom design expert can advise you on the perfect flooring for your project. It’s best to avoid smooth, shiny surfaces and go for something textured to avoid slippages. Rugs and mats are not ideal as they get stuck in wheels or canes and are also trip hazards. Especially in a bathroom, a clutter free floor is a safe floor. Remodeling your bathroom to suit your lifestyle as you age is an excellent opportunity to transform the space you have for the future. Simply sit and move around your bathroom to play out every eventuality and talk to our bathroom design professionals about your requirements and style. Leave it in our capable hands and you’ll soon have a bath design you can enjoy and feel secure in for years to come. 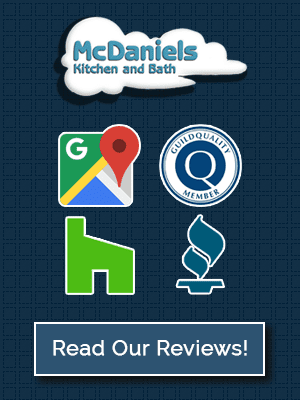 Explore our bathroom remodeling gallery for further bathroom inspiration or contact us today.